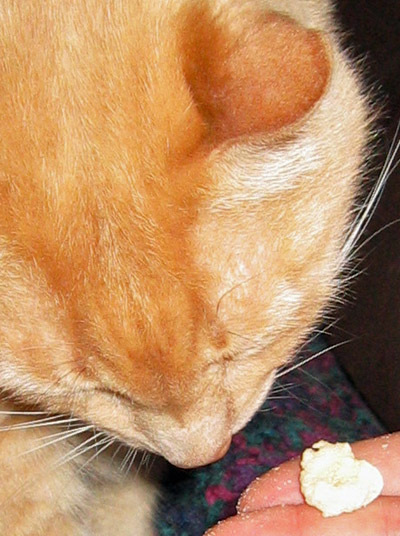 We thought you meant your ears were the cheesy poofs! hahaha! 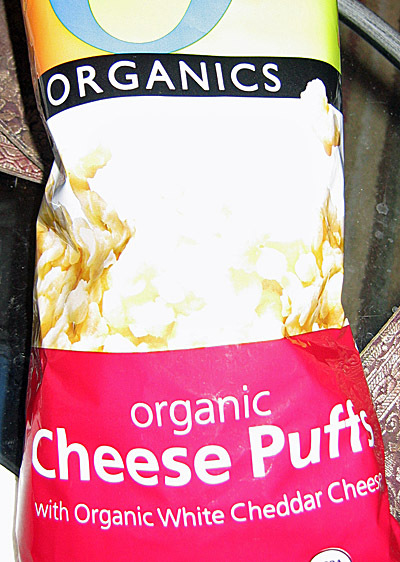 I must congratulate Staff on purchasing “Organic Cheesy Poofs” for Jeff. However, the design on the bag is a little garish and apart from obviously clashing with Jeff’s beautiful orange fur, it might also offend his eyes. Please attend to this matter. Does Jeff like to eat them while watching South Park? Greetings from Osgood once again! He congratulates the Mighty Jeff in having trained his staff to hand feed him. 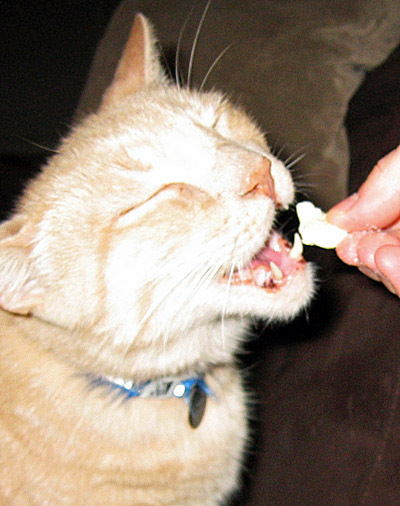 One of his Royal Blood should always be fed in the upright position; it is for lesser cats only to eat on the floor. Be sure that all food fed to Jeff be warmed to blood temperature, to simulate the joy of the kill. I love the closed-eyed anticipation of pure cheesy bliss.